Imagine a head unit that works with both Apple and Android devices, allows you to use Waze, Spotify and control your dashcam at the touch of a button while also offering native Garmin navigation and effortless hands free calling. You’ve just imagined the DNX5180DABS. 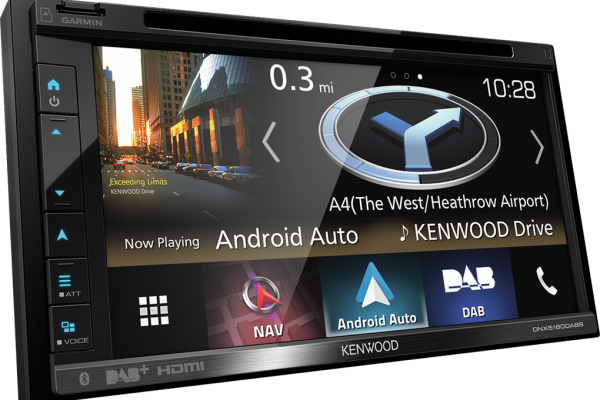 Built around a 6.8″ wide clear resistive touch screen the DNX5180DABS puts a huge range of useful features at your fingertips, allowing you to keep your attention on the road while behind the wheel. Both Android and Apple users can enjoy crystal clear Bluetooth hands free calling and audio streaming alongside the latest DAB+ technology. DNX5180DABS is Spotify ready and allows you to browse your favourite playlists and artists right from the headunit, there is no need to touch your phone in the car. 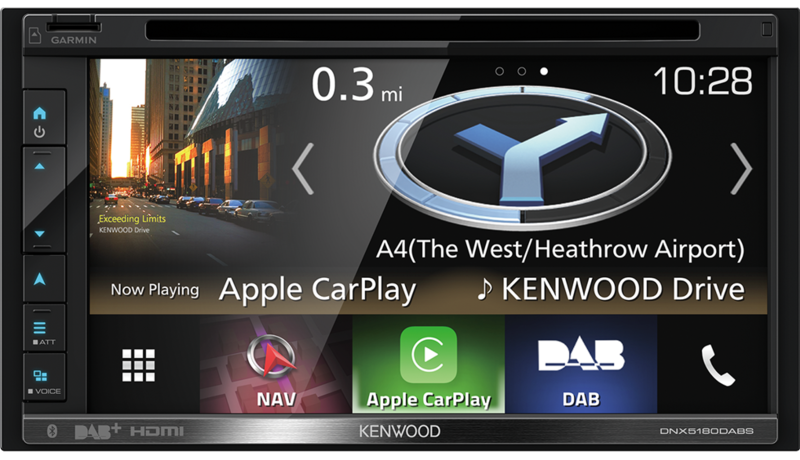 Thanks to Kenwood WebLink you can also utilise Waze for up to date traffic avoidance and navigation. If you prefer Gamin navigation then the DNX5180DABS gives you another option. 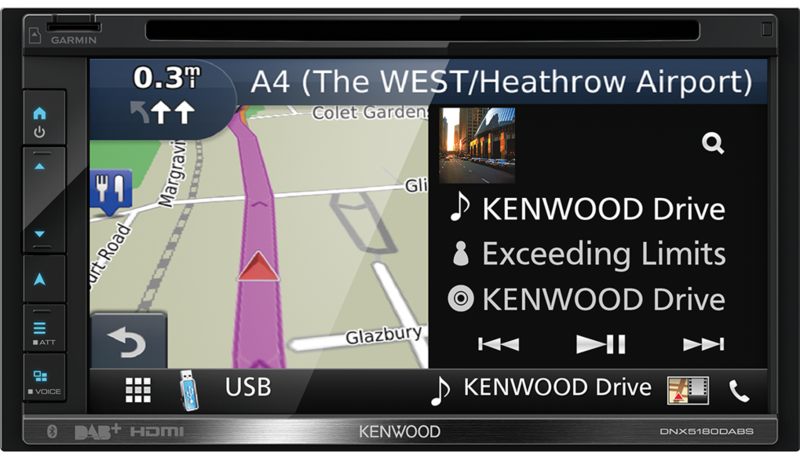 Integrated Garmin navigation features a 7-digit postcode search and Inrix traffic information. DNX5180DABS also integrates seamlessly with dash cams. With Kenwood dashcam link, you can easily control both your dash cam directly from the headunit. Dual driver assist cameras can also be connected, making manoeuvring that much easier.